Gage Glass supplies blast gate observation ports with different designs to suit your needs, vessels and applications. These flanged-to-flanged (F/F) blast gate observation ports are available in a variety of different sizes and may be configured with customizable options to maximize the durability, heat resistance and functionality of the structure. Take a look at the flanged-to-flanged blast gate observation ports available and review the exact specifications online to find a device that best suits your needs and equipment. 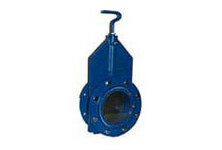 Flanged-to-flanged observation ports are made with a uniform design and structure. The F/F construction allows the blast gates to withstand more pressure without warping. This design also makes the blast gate observation ports more suitable for vessels with narrow openings or those where threaded ports are not an option. Blast gates may be also configured with varying types of glass to withstand the temperatures inside the vessel. The stainless steel sliding mechanism on the blast gate makes it easy to clean the remove the glass when needed and clean it when the vessel is not in use. This helps to protect employees from the potential dangers inside the vessel and allows you to extend the life of the glass. The blast gate observation port may also be configured with a purge connection to remove hot air from the vessel and allow the inside to cool, reducing strain on the viewing glass in high-temperature settings. Learn more about the flanged-to-flanged blast gate observation ports online and see the dimensions of each type to find the right fit for your needs. To get a quote, place an order or learn more about the configurations available, call Gage Glass at 800-780-3776 for more information.